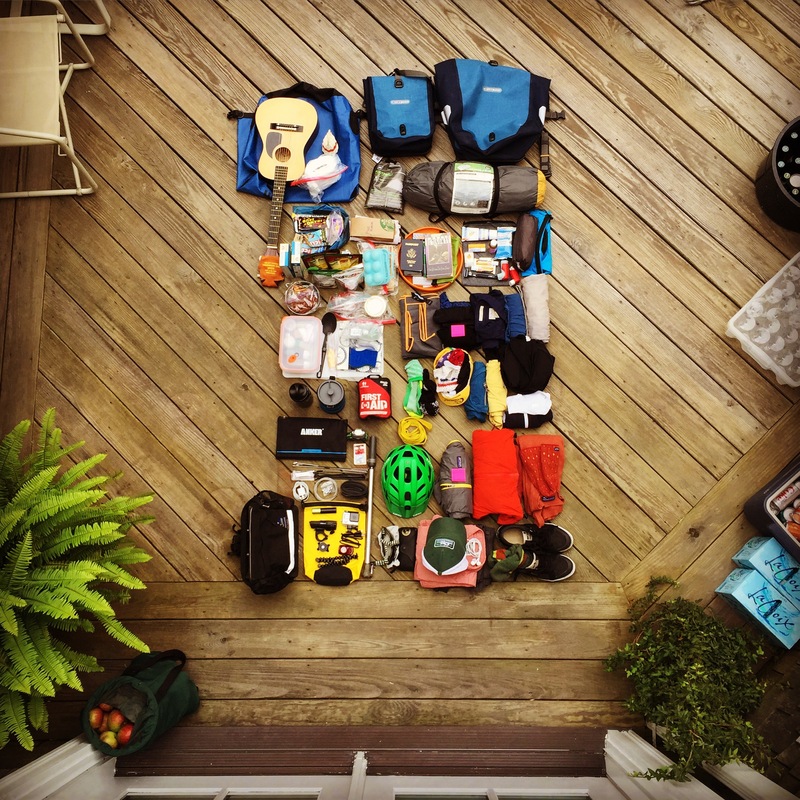 A bird’s eye of my gear for Bike Big Muddy. Both unbelievable and refreshing that this is all I need for the next 2 and 1/2 months (ok, excluding my wedding outfit…). wedding outfit? what is this about a wedding outfit? Ha! Yea. Kristen and I have three weddings to attend while we’re underway.